Calling all BreakDancers – Spotlight Report "The Best Entertainment Website in Oz"
This month, the premier competition in the world of B-Boying – Red Bull BC One – returns to Sydney, in search of the best individual breaker to represent Australia at the prestigious Red Bull BC One Last Chance Cypher, ahead of the BC One World Final in Amsterdam this November. 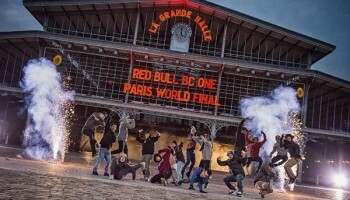 Taking place on Friday August 25th, the Red Bull BC One Australian Cypher will showcase ground-breaking talent from around the country, in a one-on-one battle format, as entrants show not only their mastery of the B-Boy essentials – toprock, downrock, power moves and freezes – but also their overall style and individual expression. In 2015, Sydney’s B-Boy Blond was the first Australian representative to compete in the World Finals, cementing his place as Australia’s best break dancer in the international series. Last year, B-Boy Blue was knocked out in the quarterfinal round of the Last Chance Cypher in Japan after a stellar performance Vs Xak. This year Lowe from SKB crew, Josh Knox from Common Ground and Duc aka Mighty Duck from 143 LSF will be the ones to watch in Ultimo. 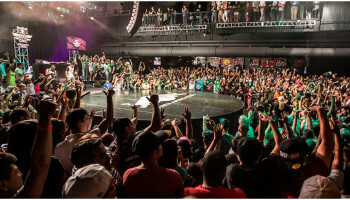 Winners on the night will be decided by a panel of judges that include veteran dancers Kazuhiro (Japan) and Walid (France), with hype man Bolo on MC duties, supported by DJ Total Eclipse on the decks. Interested dancers are invited to register now with spectators also encouraged to get their tickets.